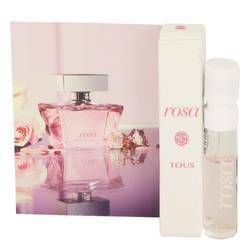 Tous Sample by Tous .05 oz Vial (sample) for Women. With its iconic teddy bear stopper, Tous fragrances are from the Spanish Accessories company of the same name. Composed by Oliver Cresp this is a Floral fragrance for women. Top notes are coriander, violet, cassia and bergamot; middle notes are peony, jasmine, gardenia and rose; base notes are iris, moroccan cedar and white musk.